Out of Place! | 52 Week Photo Challenge with Some Pretty Creative Themes! I had just wrapped up our Taylor Emmons Scholarship Fund committee meeting in the Corporate Park of Lakewood Ranch. I was meandering through the winding roads and just about to come out onto University Parkway. There was a large thump and something starring me directly in the face. 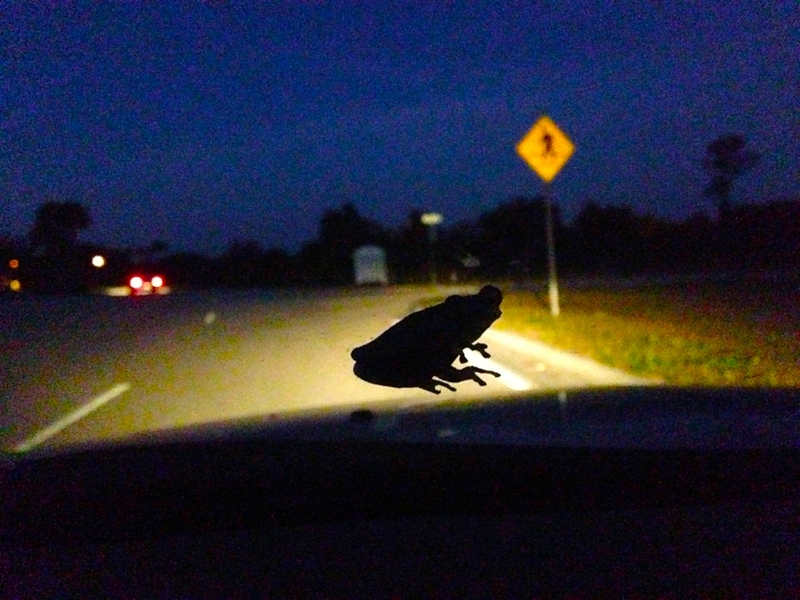 Oh Mr. Frog decided to pay me a visit on my windshield as I was driving. I believe he was there to say hi and see if he had a chance at all of me kissing him. I am awaiting on one very fine prince. He looked so big I thought it was a bear at first!